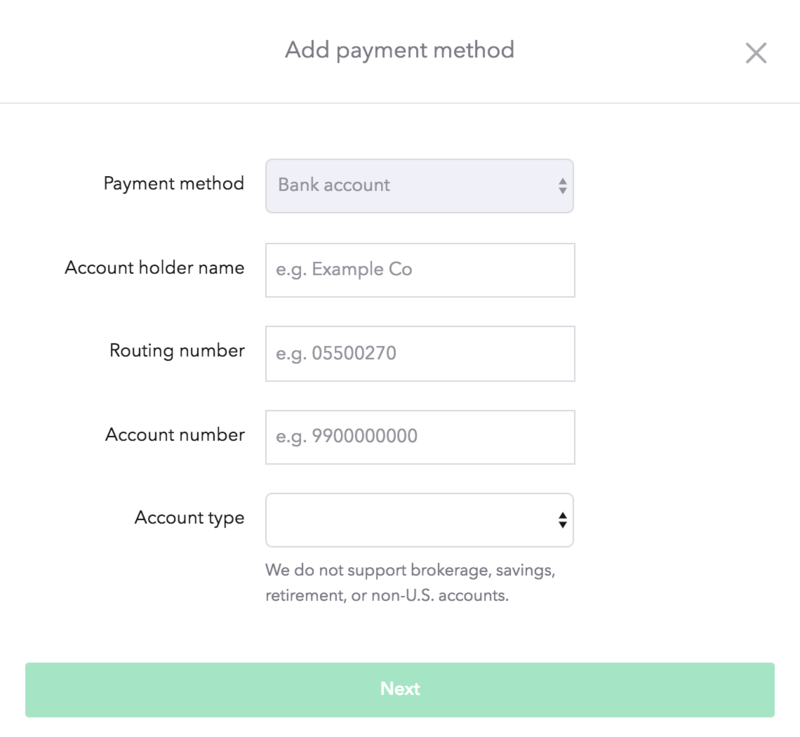 Setting up your bank account on Carta means you can electronically exercise your shares at any time. 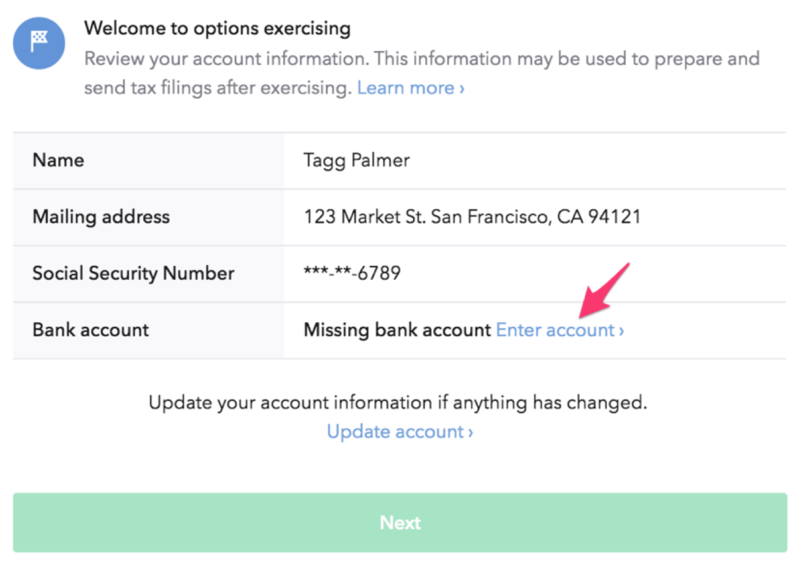 This is preferable because once your bank account is connected with Carta you are able to exercise your options immediately via ACH, and you will never miss an exercise deadline. 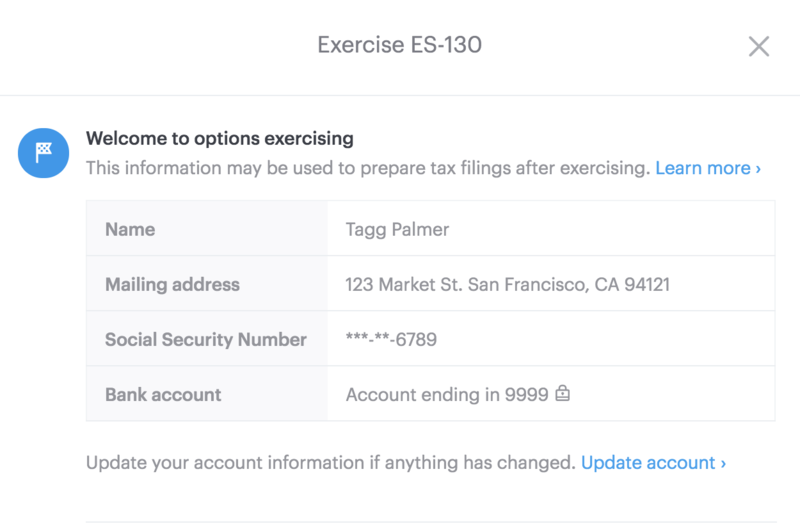 NOTE: only US companies and employees can use the ACH exercise workflow. 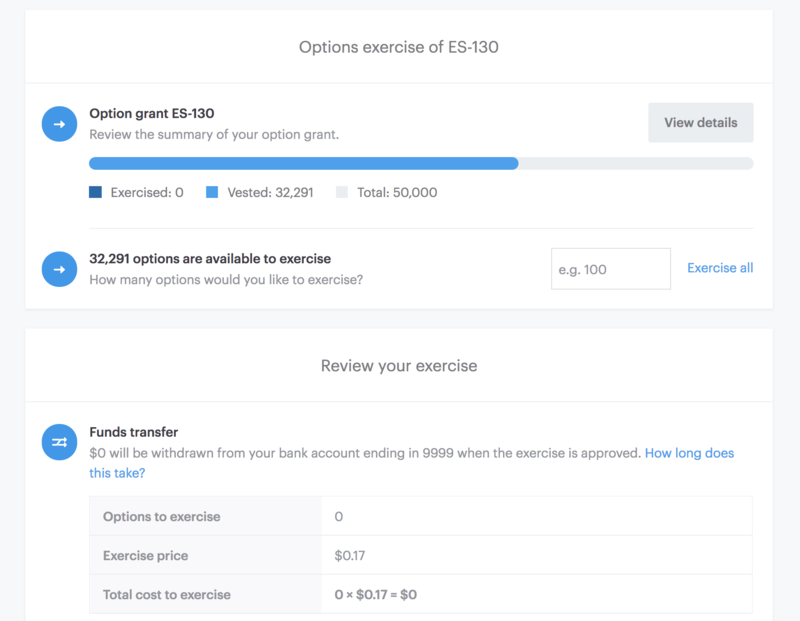 If you chose not to link your bank account, click here to learn how to exercise options manually. 2. If this is your first time exercising your grant, you will need to click 'Enter account' to enter your bank account information. You will only have to do this once. 3. Enter your account and routing numbers on the 'Add payment method' page. It will take about 2-3 business days for account verification. You will see two small deposits in your bank account. Enter these deposits on Carta to verify your account. 4. Next, go back to your portfolio and click 'Exercise' once your account is verified. 6. Once the new page opens, insert the number of options you would like to exercise. Then, select if you lived in the US in the past year. 7. Finally, check the box to agree to the withdrawal amount and click 'Sign and exercise' once finished. 8. 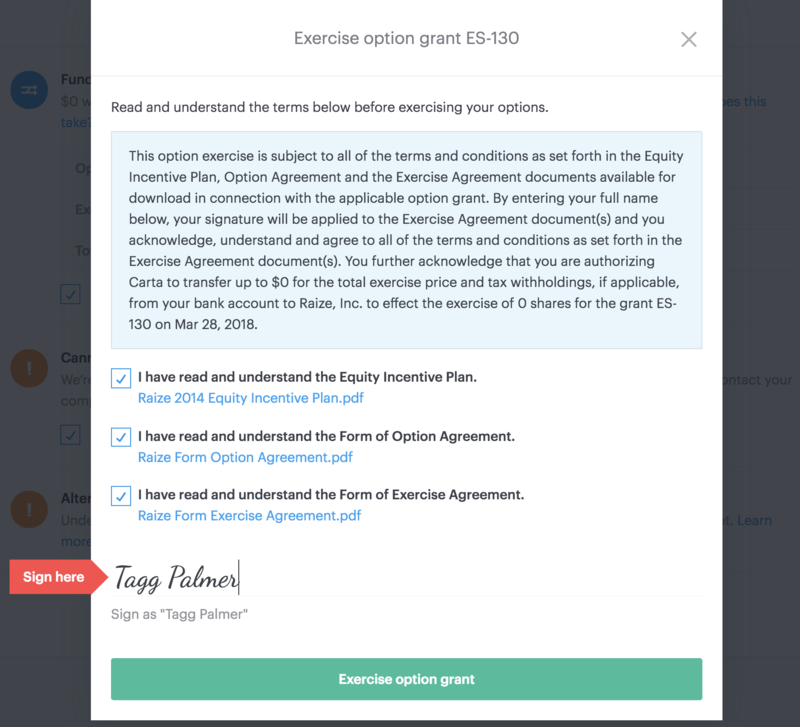 Type your name to sign after reviewing the attached equity incentive plan, option agreement, and exercise agreement. Once your exercise is approved, the funds will be withdrawn from your bank account and in 5-7 business days you will be issued a certificate. In your portfolio, you will see the “Exercise pending” note for 5-7 business days. 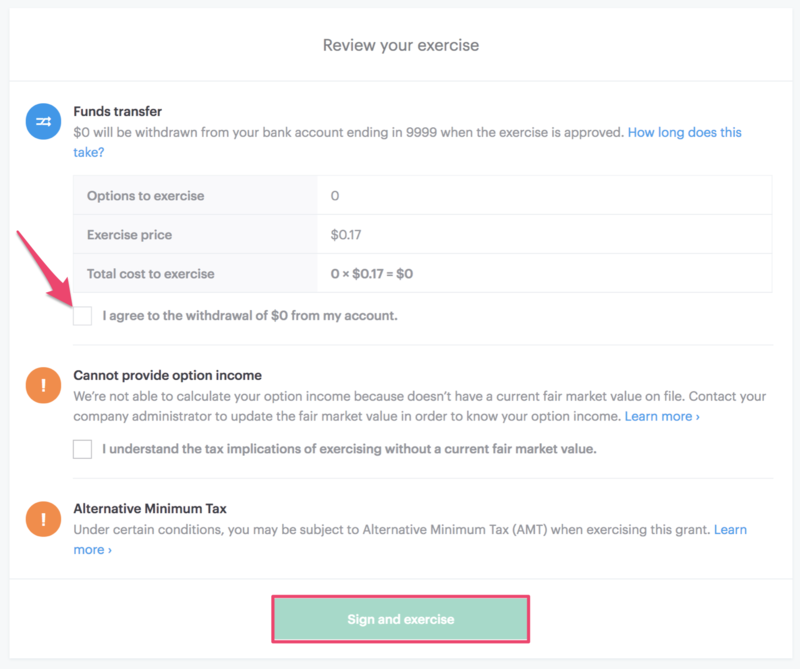 You can cancel the exercise by clicking on "Cancel”, however, you will not be able to cancel the exercise once it is approved by the company's exercise approver.